If there’s one drink that sums up Melbourne, it’s coffee. Whether we’re lazily sipping a cold drip on a rare sunny day, or hitting the town for an espresso martini (or four?) after a week of killing it at work—coffee is our lifeblood. And when it comes to understanding the importance of this hallowed beverage in our daily lives, Melbourne coffee mecca Veneziano is 100% on the same page as us. Super-fresh beans? Check. Unique single origins? Check. Completely obsessive about latte art? Check. 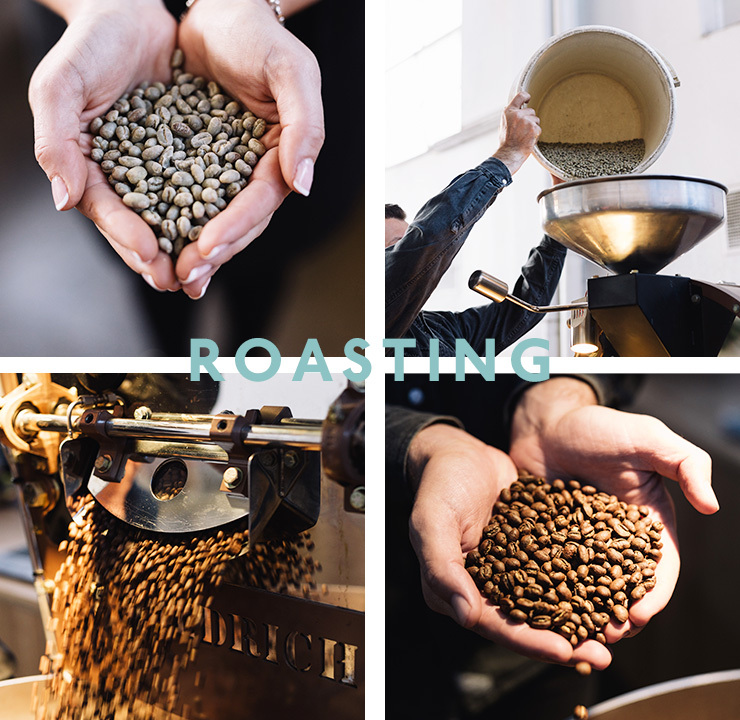 If you haven’t heard of Veneziano before, don’t fret: The Melbourne roaster is one of the city’s best kept secrets, largely due to the fact that they supply coffee pros with beans to use in other notable cafes around the city. 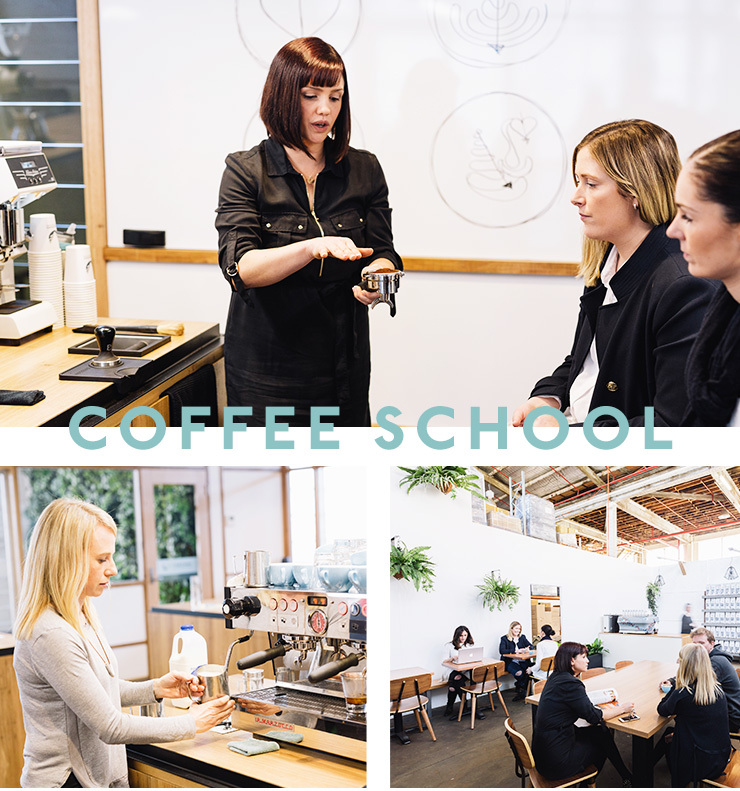 As well as roasting beans at their Richmond HQ, Veneziano also runs an incredible coffee school in their daylight-filled training space, teaching Melburnians everything there is to know about our city’s mainstay. 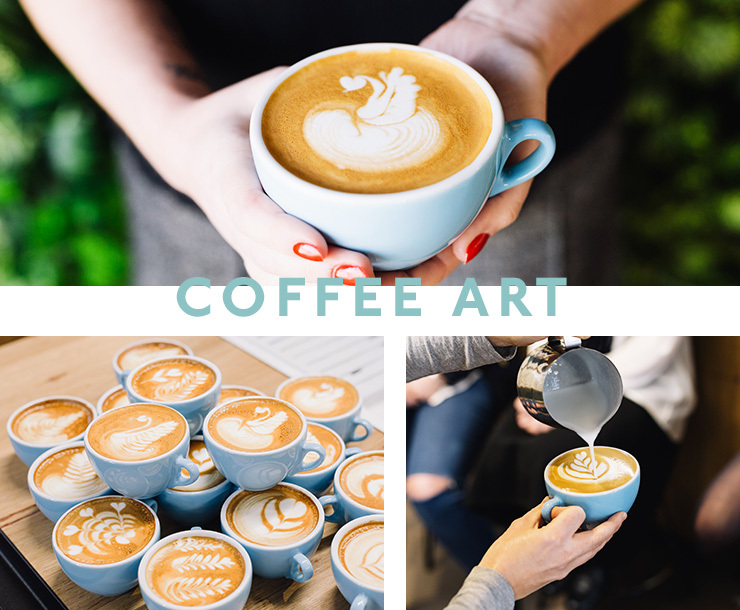 Keen to learn to pour the perfect swan, I signed up for Veneziano’s Latte Art masterclass—a great way to get to grips with coffee and milk, whether you’re a budding barista or a coffee nut who just wants to impress their mates (spoiler alert: I’m the latter). Rushing to a coffee station at the front of the intimate class, I wondered, how hard can it be? It turns out there’s lots more to latte hearts than I’d ever imagined. #1: Bubbles are good in baths, NOT lattes. Having cut my coffee teeth in Belfast over a decade ago—where the coffee du jour was a giant foamy cappuccino—the first thing I learnt was that a surplus of bubbles doth not maketh a smooth latte pour. The team at Veneziano helped me to figure out where my milk foaming technique was going wrong, and showed me a few handy tricks for saving bubble-filled milk when I had gone a little OTT with the steamer—a great tip to master whether you’re an at-home barista or a coffee professional. #2: Freshness is about looks, not flavour. Okay, technically it is about flavour too, but did you know that the colour of the coffee changes as the beans get older? As the beans are exposed to air, the colour of the coffee that they make becomes more pale, meaning that you don’t get such a great contrast between the coffee and the milk. And when it comes to drawing patterns in your drink, you really want that contrast to make your handiwork stand out. So stick to freshly ground beans that have been freshly roasted, and you’ll stand a much better chance of pouring a beautiful cup. #3: Yes, swirling the milk and the coffee helps. Because science. 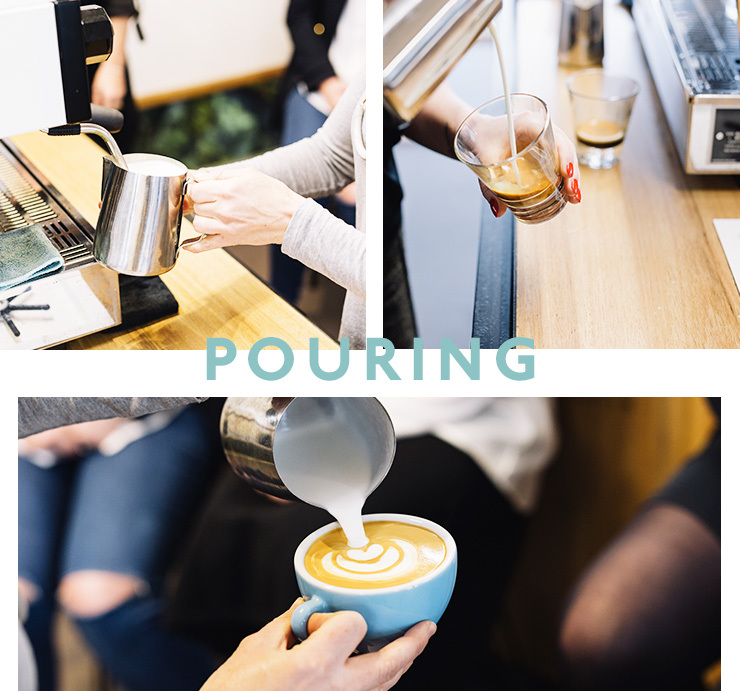 Swirling both the hot milk *and* the shot of coffee that’s in your cup helps to keep the crema on the espresso (which means you’ll get a distinctive pattern), and ‘polishes’ the milk, making sure you get a smooth pour of both milk and microfoam. If you’ve got too much milk in your jug, simply split it out into another jug, 50/50, and re-swirl what’s left. Oh, and your espresso shot should always go into a warm coffee cup—that’s why they’re usually stored on top of the toasty espresso machine. #4: Your espresso shot should pour like a mouse tail… Yes, really. #5: It’s *all* about height. Want to create the perfect latte art rosette? When it comes to the pour, it’s all about height. How high you hold the milk jug changes how the milk pierces the surface of the coffee crema. Firstly, you want to hold the milk jug high, away from the surface, so that you create a smooth, even base for your latte art. Then you 'draw' the pattern onto the surface of the coffee crema by holding the jug low. When it comes to perfecting that tulip stalk, you need to be holding the jug much higher than when you’re making the petals, otherwise everything will turn into a blobby mess. And nobody wants to Instagram a blobby mess. #6: When you don’t know what you’re doing, just wing it. But on the rare occasion that you do pour something that’s not entirely on point, just winging it is totally an option. As long as the coffee’s good (that’s why we’re using freshly roasted Veneziano beans, duh), the milk’s perfectly textured, and there’s some semblance of a pattern on top, it’s an entirely drinkable latte. Oh look! I just poured a UFO/top hat/West Gate Bridge. For all the essential details on Veneziano’s coffee classes, including how to get hold of their tasty beans, check out the website. Veneziano are offering 20% off all training classes booked in the month of September. Simply email [email protected] and mention The Urban List. Watch out for the opening of Veneziano’s retail space and café in 2017. Editors note: This article is sponsored by Veneziano and proudly endorsed by The Urban List. Thank you for supporting the sponsors who make The Urban List possible. Click here for more information on our editorial policy.